D-Fuse, Pattern and Noise. Photo courtesy of the Pittsburgh Cultural Trust. July kicks in (literally) with a bang, giving way to a month that calls for operating at a slower pace, rediscovering the great outdoors and setting off on adventures near and far. In between all of the BBQs, beach reading lists and poolside parties, take time to explore summer in the city. You just might find yourself cheering on a cool coupe at the only vintage car race run on city streets, seeing a world premiere eco-opera inspired by Rachel Carson, or stomping along with a punk rock brass band at a quirky neighborhood festival. This July, the city is your playground. Courtesy of the EQT Three Rivers Regatta. 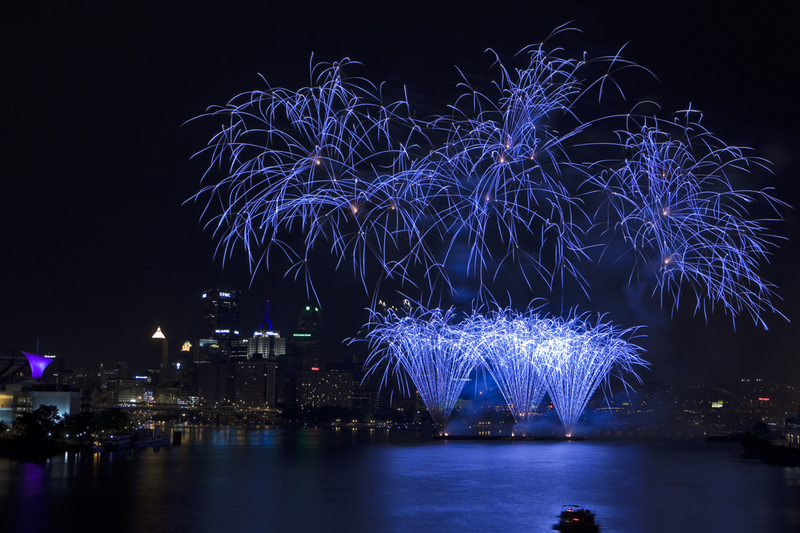 Three days packed with music, fireworks and fun in the sun on the city’s iconic waterways, the EQT Three River Regatta reigns as a quintessentially Pittsburgh way to spend Fourth of July. The largest inland regatta in the U.S., the aquatic happening has something for everyone—from high-speed feats on the water to tranquil crafts in the sand. 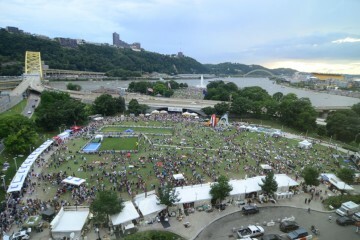 Events and activities take place on both the river and city sides of Point State Park from noon to 10 p.m.
Photo courtesy of Peony Entertainment. Seeking thrills? Watch in awe as synchronized freestylers do flips, jumps and rolls during Jet Ski Stunt Shows, cheer on drivers competing in the tricky Formula One Power Boat Race Finals and be dazzled by the gravity-defying Monster Energy BMX Team. Take a ride on the 90-foot-tall Gondola Ferris Wheel, which boats 12 LED light patterns and 16 passenger carriages. Sure to steal the show will be the agile and adorable Muttley Crew Flying Dogs frisbee team. Looking for low-key fun? 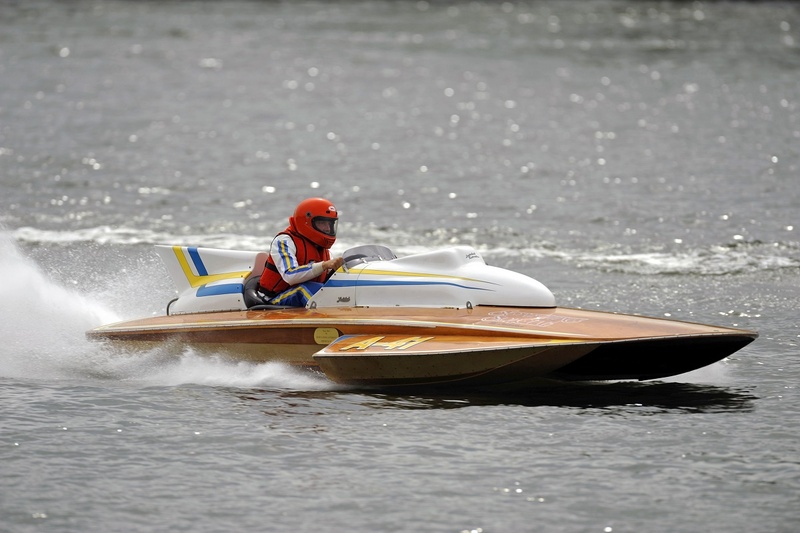 Check out beautiful wooden hydroplanes at the Vintage Power Boat Exhibit, watch as 150 tons of sand are transformed into towering art, try paddling a Dragon Boat and enter your own contraption in the Anything That Floats Race. Musical entertainment on the Regatta’s five stages includes award-winning country artist Brett Eldredge, the U.S. Air Force Heritage of America Band, Grammy nominated singer-songwriter Chris Young, The Hobbs Sisters and more. The EQT Flashes of Freedom Fireworks, produced by Pyrotecnico, will light up the skies starting at 9:36 p.m. on July 4th. D-Fuse, Pattern and Noise. Photo courtesy of Pittsburgh Cultural Trust. Take advantage of the extra daylight to crawl your way through art downtown. More than 25 venues large and small will swing open their doors for the summer installment of the Gallery Crawl in the Cultural District. The quarterly showcase features a rotating lineup of thought-provoking world-class works by local, national and international artists, accompanied by a music, dance and film, hands-on activities and special events. Did we mention it’s all free? Photo courtesy of Space Gallery. What’s new downtown? 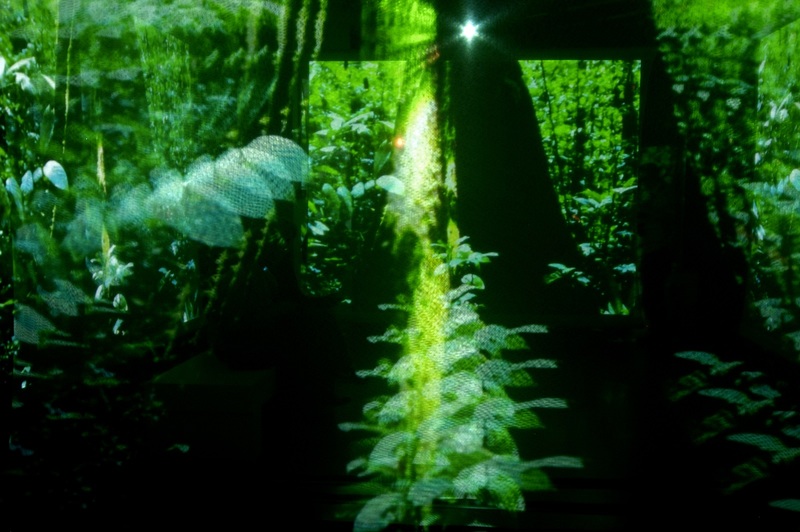 At Wood St. Galleries, see Pattern and Noise, the first solo U.S. exhibition and audio visual performance by London-based art collective D-Fuse. 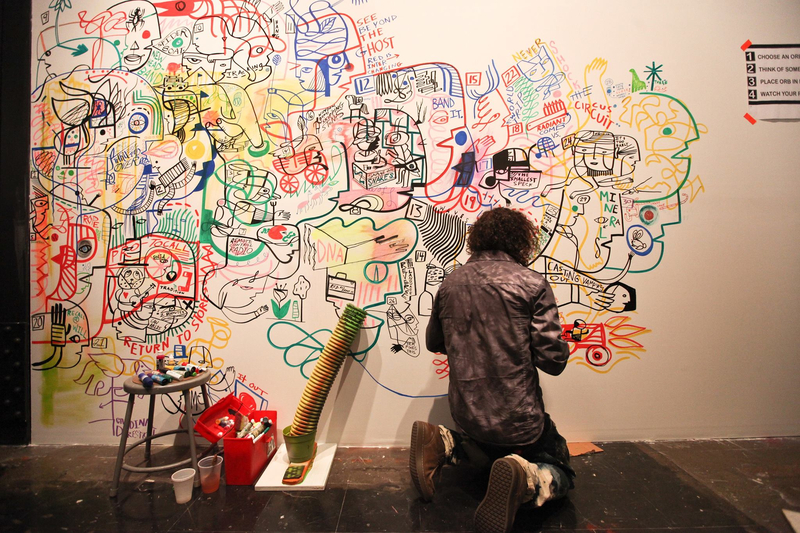 At nearby SPACE, see how 12 artists created large paintings directly on the gallery walls. The opening will feature a live art happening, music by DJ Dave Zak Party Time and Randy Gilson’s window installation, Thinkerers, featuring 200 colorful faces hand-painted on reclaimed tiles. Explore ancient Africa, pop culture and hip hop at Grits Capone’s Deeper than Rap exhibit at 717 Liberty Ave., and walk through an outdoor pop art exhibit in Triangle Park. Head to Katz Plaza for live music by Lindsey Smith, Soul Distribution and DJ SMI. 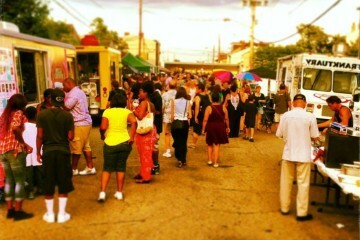 Shop al fresco from 5:30 to 11 p.m. at the Night Market teeming with independent artists, gift vendors and food purveyors. Extend your stay downtown at special CrawlAfterDark events taking place at participating venues. View a complete Gallery Crawl schedule. Photo courtesy of the Pittsburgh Cultural Trust. The VIP portion kicks off at 7 p.m. with mouthwatering fare catered by top Pittsburgh chefs, including David Bulman (Creative Culinary), Jason Dalling (Habitat), Curtis Gamble (Station), Clare Lise (Bill’s Bar & Burger) and Derek Stevens (Eleven). VIPers will also be treated to exclusive performances by the Hills and the Rivers, Miracle Elixir Sideshow, drag performer Marti G. Cummings and pianist Alec Chapman. The circus kicks into gear at 9 p.m. for a main event featuring desserts and cocktails galore, festive games, sideshow acts and carnivalesque feats. Appearing under the Big Top will be DJ Pandemic, the Trundle Manor Creepshow, Colonel Eagleburger’s Highstepping Goodtime Band and Bombyx Collective aerialists. Make the rounds as you play arcade games, belt it out during karaoke and apply colorful body art. For the past decade, one grassroots cultural org has been putting Pittsburgh on the map in terms of Asian cinema. Celebrating its 10th anniversary, the Silk Screen Film Festival is presenting 30 feature films and eight shorts at Regent Square Theater and Melwood Screening Room. The only event of its kind in the region, the festival showcases Asian and Asian American art, life, society and history via films representing diverse countries and cultures around the globe—from Japan and Jordan, to India and the Philippines. Augmenting the films are engaging Q&As with directors, actors and industry experts, sneak previews and post-show parties. Don’t miss opening night featuring Naji Abu Nowar’s award-winning film, Theeb. Viewers will be transported to the year 1916 to meet Theeb (Jacir Eid Al-Hwietat) and his older brother Hussein, members of a Bedouin tribe during a period of drastic upheaval. Set in the Arabian Desert, the engaging classic adventure explores human survival, familial bonds and Bedouin customs. The festival’s centerpiece is Pakistan’s official entry to the 87th Academy Awards, Dukhtar, which means “daughter” in Urdu. Directed by Afia Nathaniel, the visually stunning thriller documents the peril faced by women and girls living in tribal societies in Pakinstan’s mountainous villages. A favorite at the Toronto Film Festival, the gripping tale follows former child bride Allah Rakhi who runs away with her daughter to escape a rival tribe leader. Silk Screen wraps up on a lighthearted note with Ravi Kapoor’s comedy Miss India America starring Tiya Sircar, Hannah Simone and Meera Simhan. Want to walk the red carpet? 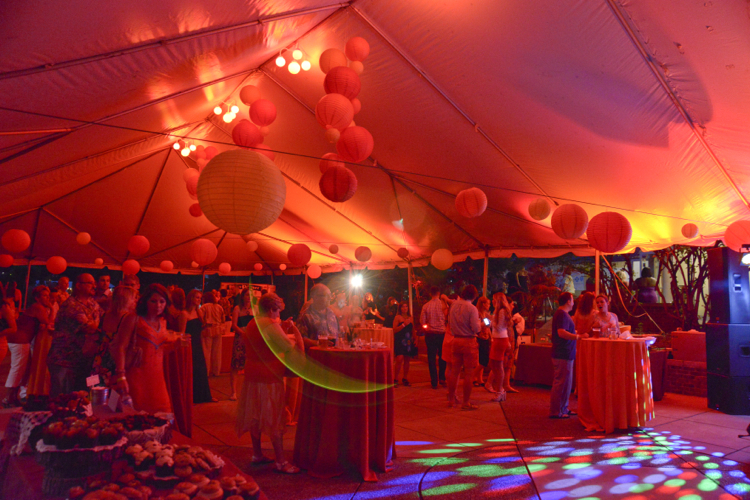 Don’t miss the always festive kick-off gala on July 9 from 6 to 10 p.m. at Carlow University, where movie buffs will mingle with visiting dignitaries, local cinema celebs and Silk Screen staff while enjoying live entertainment and tasty ethnic cuisine. View a complete festival schedule and purchase tickets. PVGP at Schenley Park. Photo by Tony Matucci. 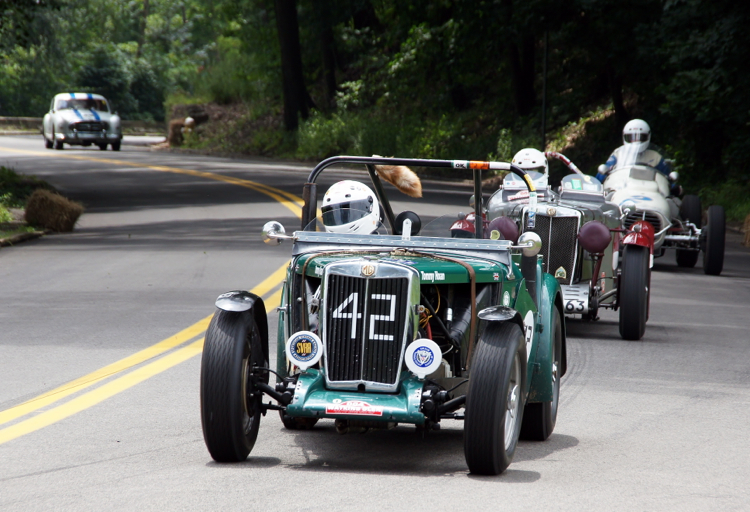 If you love vintage motor sports car racing—or if you’re a car, truck and speed buff—you don’t want to miss the 33rd annual Pittsburgh Vintage Grand Prix (PVGP). What began as a single day race in Schenley Park in 1983, has transformed into a 10-day celebration spanning six venues, two counties and a love of all things on four wheels. Highlights include the 12th annual PVGP Historics at the Pittsburgh International Race Complex, Walnut St. car show in Shadyside, car cruise at The Waterfront, Downtown parade and car display, scenic countryside tour through the Laurel Highlands, tune-up party at Atria’s and a benefit concert at the Hard Rock Cafe. MGs racing in Schenley Park. Photo by Matthew Little. The excitement will really rev up when the starting flag drops at the highly anticipated Race Weekend on July 18 and 19 in Schenley Park. The only vintage race event run on actual city streets and the largest vintage race event in the U.S., Race Weekend attracts 200,000-plus spectators for a dramatic course throughout this beautiful urban greenspace. Some 150 vintage racers will test their skills and dazzle crowds, through what is considered by many drivers to be the world’s most challenging race course. The 2.33-mile circuit includes 23 turns, along with haybales, manhole covers, phone poles and stone walls. Race Weekend also features a slew of related activities, including an International Car Show, British Car Day, Vintage Races, Opening Ceremonies, a parade and qualifying races. 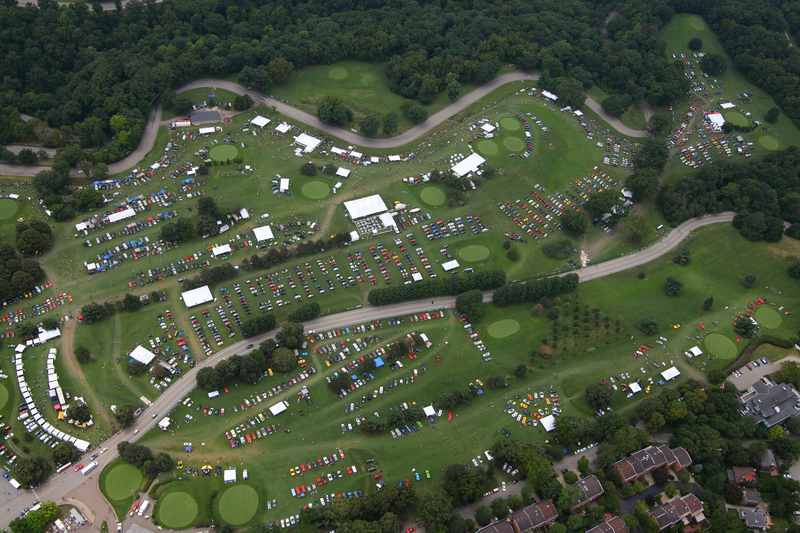 A favorite spot to watch is the 456-acre Bob O’Connor Golf Course where the PVGP stages its International Car Show. There is no cost for spectators, but the PVGP encourages donations, with all proceeds benefiting charities. 125 Bands, 24 stages, 16 venues, 12 hours (and counting). 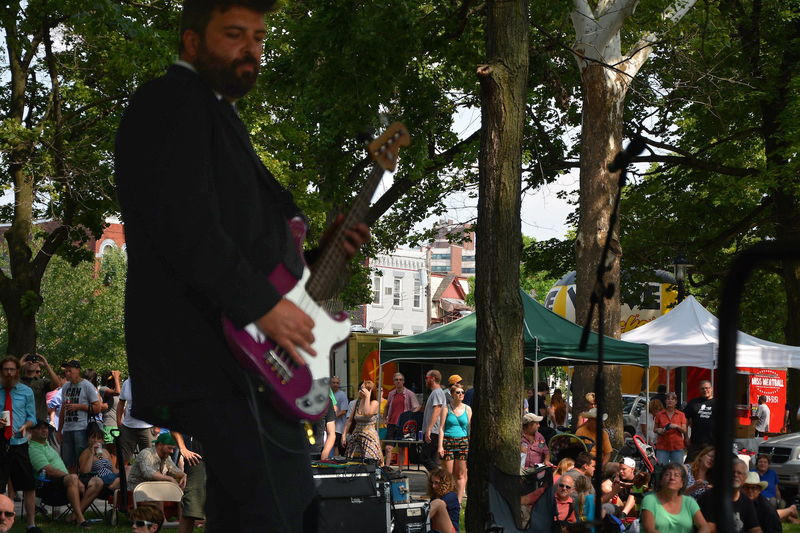 The Northside rocks and the best time to see why is at the Deutschtown Music Festival. Bringing its third annual installment to the historic neighborhood, the free daylong festival has become one of the city’s largest local music events. With music spanning six outdoor stages, 14 indoor venues and every genre under the summer sun, this homegrown fest truly has a sound for all ears. This year, two main stages will set up shop in Allegheny Commons Park and off of Foreland St. Venues peppered throughout the Northside are all within walking distance, and include everything from clubs and bars, to cafes and art spaces. From Chet Vincent & The Big Bend at Wigle Whiskey Barrelhouse and Cello Fury at Allegheny Elks Lodge, to Weird Paul Rock Band at Modern Cafe and André Costello & The Cool Minors at Penn Brewery—attendees can take a bona fide tour of Pittsburgh’s vibrant music scene in less than 24 hours. Augmenting the daytime portion will be family-friendly programs, hands-on children’s activities, an artists’ market and a food truck roundup. Festival-goers can also pop into Artists Image Resource to print tattoos and posters, purchase original artwork and watch the Mobile Sculpture Workshop in action. Need a lift? Two free shuttles will make multiple stops on the Northside and North Shore. Run by a dedicated group of volunteers, the festival was launched to showcase and support Pittsburgh’s vibrant live music scene, while also fostering economic and community development throughout the central Northside. 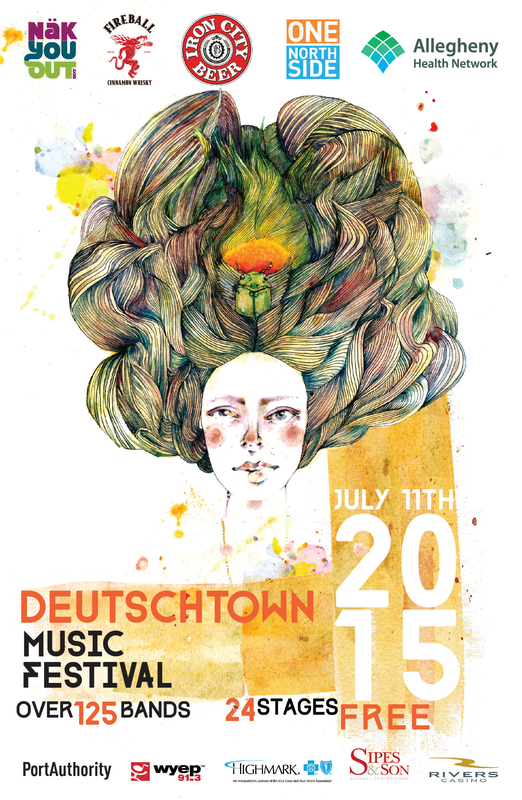 View a complete Deutschtown Music Festival schedule. Courtesy of The National Aviary. You don’t have to head to Colombia or the Congo to experience the tropics. For one steamy July evening, The National Aviary invites bird lovers to gather for its Night in the Tropics Feathered Fiesta gala. The organization’s signature annual fundraiser, Night in the Tropics is expected to draw some 1,200 avid avian fans to the Northside for a celebration of flavor, festivities and flight. The Latin-tinged bash will feature programming throughout The Aviary and its scenic rose garden, including entertainment, an open bar and fare from 30 of Pittsburgh’s top eateries, bakeries and breweries. 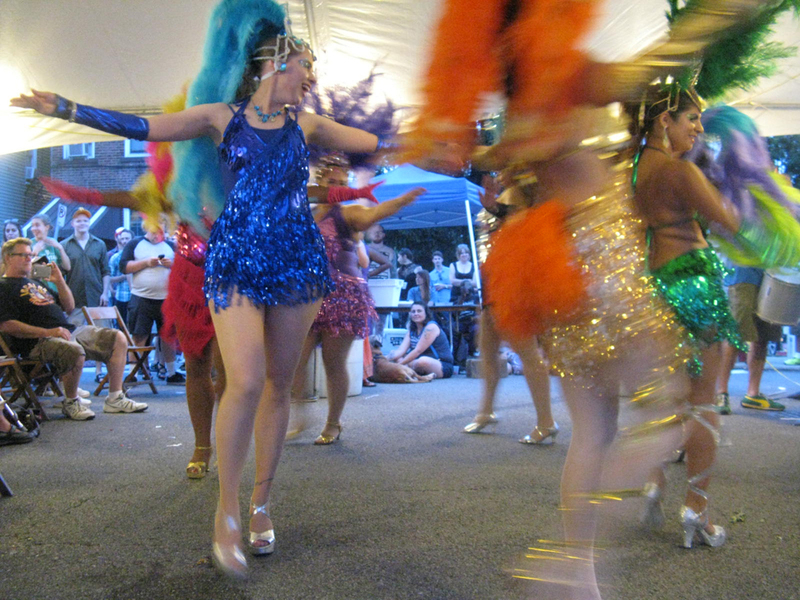 Groove to live music by Noël Quintana and The Latin Crew and DJ Loyal, enjoy dancing demos led by Salsa412 and be serenaded by a roaming mariachi band. Attendees will get to meet stunning feathered friends during up-close interactions with birds not regularly on exhibit. 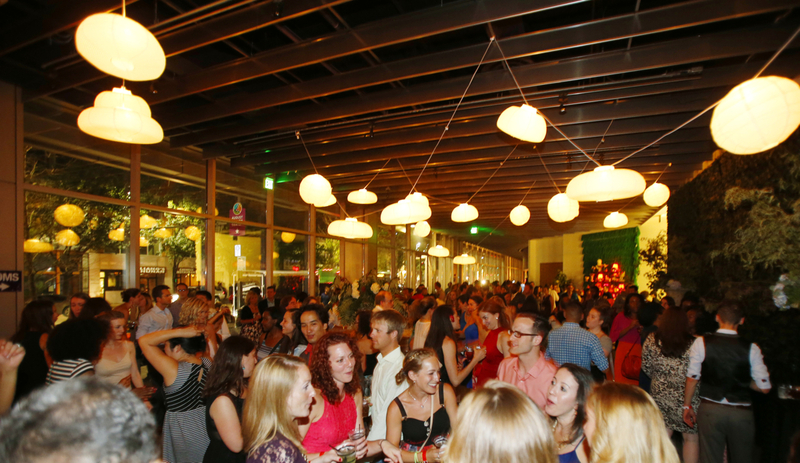 You’ll be partying with a purpose since all proceeds support The National Aviary’s education, avian medicine and conservation programs. 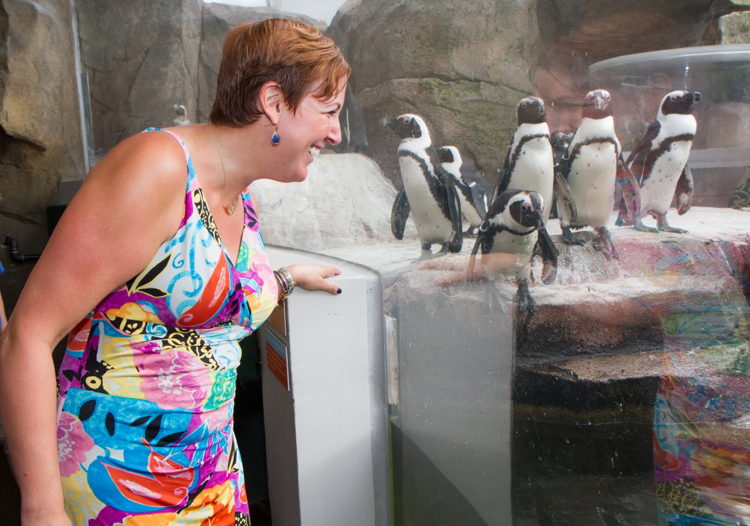 VIP ticketholders will be treated to an exclusive pre-party starting at 6 p.m. Be sure to purchase your tickets before July 3 to vie for the chance to win a private encounter with Happy the African Penguin, the event’s “co-chair!” Purchase tickets. It’s been 53 years since the publication of Rachel Carson’s Silent Spring, but the themes and insights of her seminal book remain as relevant and as powerful today. A new eco-opera making its world premiere in Pittsburgh is bringing Carson’s pioneering work to life in powerful ways. Running for just three nights, A New Kind of Fallout follows a Pittsburgh “everyfamily” as their lives are turned upside down by the environmental warnings issued in Carson’s prescient text. Theater-goers will be transported to a fictional Pittsburgh suburb in the year 1962, where newly pregnant homemaker Alice Front (Lara Lynn Cottrill) evolves into an enlightened environmental activist after her neighborhood is sprayed with a “miracle compound” used to eradicate insects. As Alice’s concerns for her environment, home and unborn child grow severe, she finds herself at odds with her husband Jack (Christopher Scott), an ad exec on the rise at the very chemical company manufacturing the pesticide. 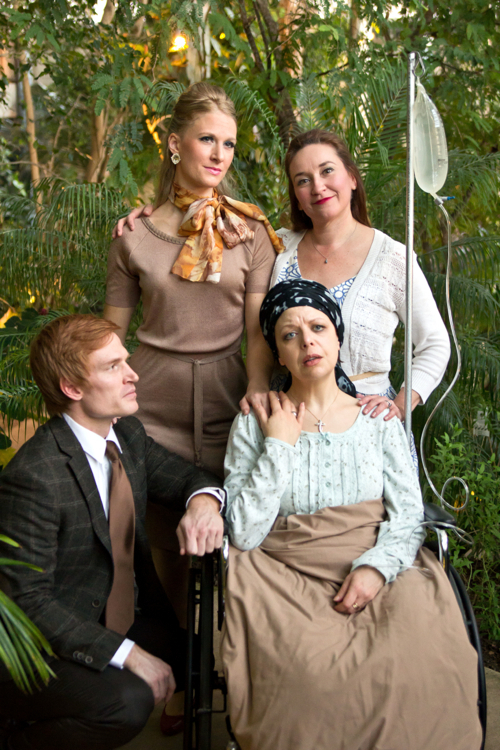 Part of Opera Theater of Pittsburgh‘s 2015 SummerFest Season, the poignant eco-opera features music by NYC-based composer Gilda Lyons and a libretto by acclaimed Pittsburgh playwright Tammy Ryan. Inspired by the life and works of Carson—a Springdale native who helped launch the environmental movement—Fallout explores themes of environmental stewardship, social and personal responsibility and global connectivity. The opera’s unique yearlong development process included public workshops held at Carrie Furnace, Phipps Conservatory, Pittsburgh Botanic Garden and Carson’s own alma mater Chatham University. Opening night on July 18 features a post-show party with the cast and crew, cocktails and cabaret performances. Purchase tickets. Polish Hill might be geographically small but it’s huge in terms of neighborhood character. One of the best ways to get to know this vibrant hub located smack dab in the middle of Pittsburgh—and see firsthand how it’s experiencing a burst of community arts engagement—is at the Polish Hill Arts Festival. 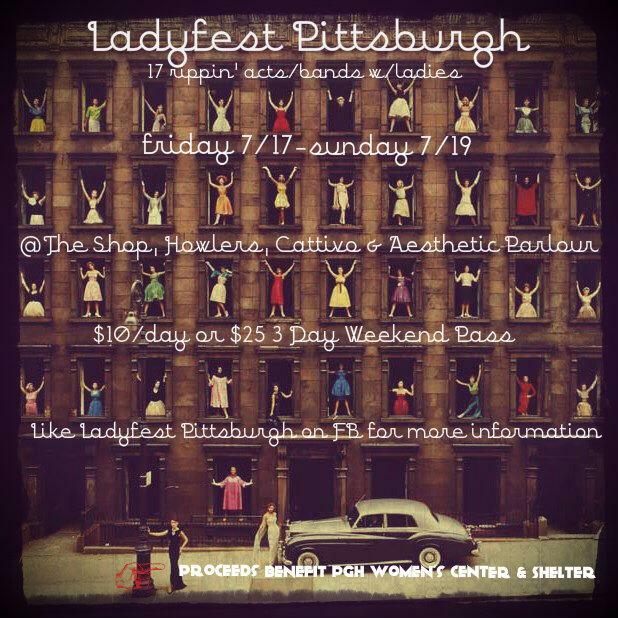 A welcome low-key addition to the summer festival circuit, the event is a great way to enjoy Polish Hill’s eclectic charm on a Sunday. Pierogies, punk rock and community pride will converge along Brereton St. for a relaxed day of music, art, performance and food. Attendees of all ages are invited to explore technology with Assemble, make crafts with Little House, Big Art, watch metalworking demos with the Mobile Sculpture Studio, sign up for library cards and more. Always a draw are the performances, which reflect a neighborhood that’s home to countless musicians. Featured performers include Brazilian samba drummers Timbeleza, metal band PARTY!, acoustic act Tilley Hawk, teen guitar wizards Urgent Notice and others. Also a highlight will be 30-plus contemporary artists selling work in a range of media, sizes and price levels—not to mention loads of delicious local, vegetarian and vegan fare. Want to get involved? Support the Polish Hill Civic Association‘s Indiegogo campaign today. Rock out and help fight hunger at the 21st annual Pittsburgh Blues Festival. Celebrating some 10 million meals provided, the three-day fest at scenic Hartwood Acres features an impressive lineup of internationally renowned and locally loved blues acts. Kicking off the festivities on July 24 will be blues guitarist and vocalist Duke Robillard, vocalist Billy Price and singer and actress Dana Fuchs. Don’t forget that admission on Friday is free with a bag of non-perishable grocery items. The Food Bank’s largest annual event, the festival has raised more than $2 million to fight hunger in our region. 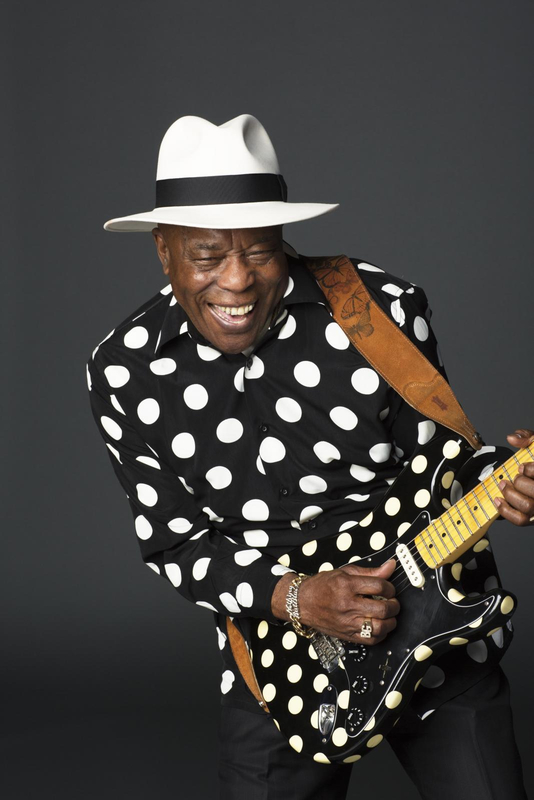 On Saturday, don’t miss legendary American blues guitarist, six-time Grammy winner and Rock and Roll Hall of Famer Buddy Guy. Ranked 30th in Rolling Stone‘s “100 Greatest Guitarists of All Time,” Guy got his start playing with Junior Wells and Muddy Waters, and went on to influence a generation of rock and blues guitar titans, from Jimi Hendrix to Stevie Ray Vaughan. Also performing on Saturday will be Nola’s own New Breed Brass Band and blues guitarist Jarekus Singleton. 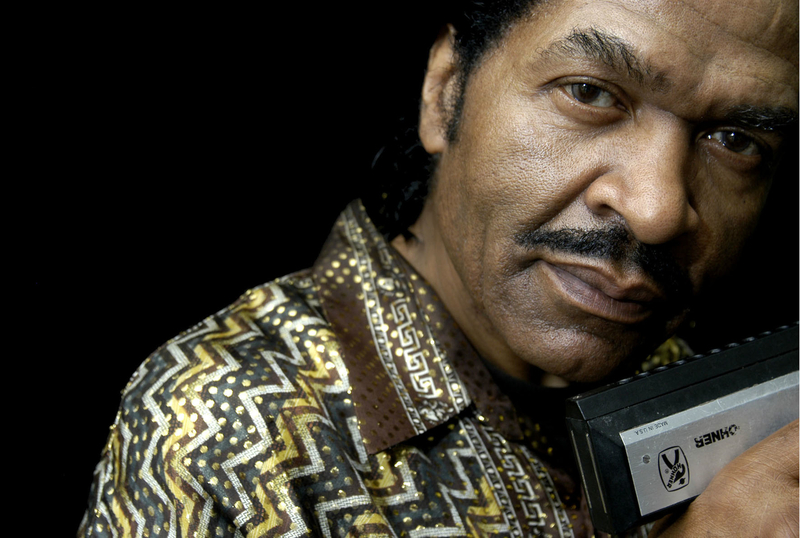 Sunday’s lineup is packed with award-winning pioneer Bobby Rush, singer/pianist Marcia Ball, high-energy band Dwayne Dopsie & the Zydeco Hellraisers and rising star Selwyn Birchwood. Be sure to visit the festival’s food and merchandise vendors, featuring everything from handmade jewelry and fudge to eco-friendly resources. Pop into the family-friendly KidZone to participate in hands-on art, craft and music activities, educational workshops and live art. Looking for events for families and children? Be sure to read our Top 10 Family Adventures this July in Pittsburgh feature. Check out our Sound Picks: 10 can’t-miss Pittsburgh concerts in July feature.